To read praise and reviews, click on the blue book title above. 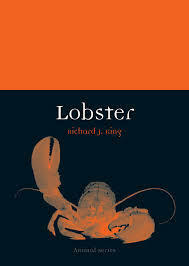 Part of the Animal series, King’s Lobster takes us on a journey through the history, biology, and culture of lobsters, including the creature’s economic and environmental status worldwide. 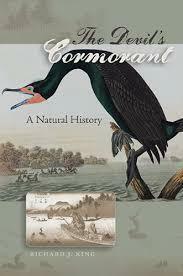 He describes the evolution of technologies to capture these creatures and addresses the ethics of boiling them alive. Along the way, King--who has worked as both a lobsterman and a fishmonger--also explores the salacious lobster palaces of the 1920s, the animal’s thousand-year status as an aphrodisiac, and how the lobster has inspired numerous artists, writers, and thinkers including Aristotle, Dickens, Thoreau, Dalí, and Woody Allen. Imagine that you are an average American man. You work hard and love football. Your present is a highway of unbounded opportunity, your future a far horizon unclouded by doubt. Then comes middle age. Who can you look to when the highway begins to crack, when opportunity shrinks to the size of a cubicle, and the horizon looms close? For Richard J. King, the answer is clear: Tom Brady. The legendary quarterback of the New England Patriots is not just a four-time Super Bowl champion, three-time MVP, and certain Hall of Famer. He is a male epitome. Gifted but humble. Driven but balanced. Aging but youthful. Devoted to both career and family. At the pinnacle of success but somehow still one of us. If anyone can point the way to living a worthy life, Tom Brady can. And so, at the start of the 2013 football season, King sets off in an ’88 Volkswagen minibus in a time-honored quest to answer life’s pressing questions—and to meet his hero. From training camp to the playoffs, from Spy-gate to Deflate-gate, King takes us on a tour of stadiums and bars across the country. Along the way he talks with players, sportswriters, and Patriots management, and poses the existential question, “What would you ask Tom Brady?” Meeting Tom Brady is funny and wise, a memoir of an eventful season in both King’s life and Brady’s—a determined pursuit, with uncertain results.